Initially starting off as a small-time confectionary from the basement garage of the head chef, Theos has grown many fold over the last few years owing to their yummy pastries and their delicious breads. Derived from the Greek word 'Theobroma Cocoa' which literally means 'Foods for the Gods', they serve a wide selection of continental cuisines from Lebanese to Italian. 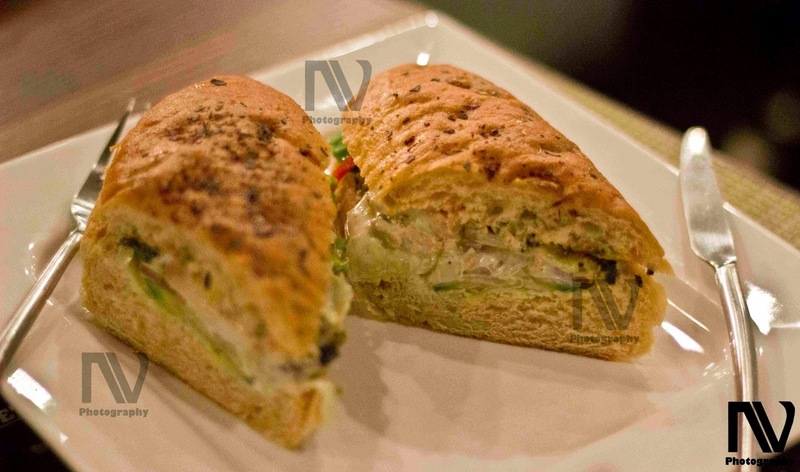 Theos is pretty well known at Noida and due to their huge fan following and always crowded stature, they have recently renovated their older restaurant at Sector 50 though their Sector 41 restaurant is the more famous one. It has a confectionery section right at the entrance which sells pastries, cakes and quiches; the dining area is located just beside it and is comparatively smaller. 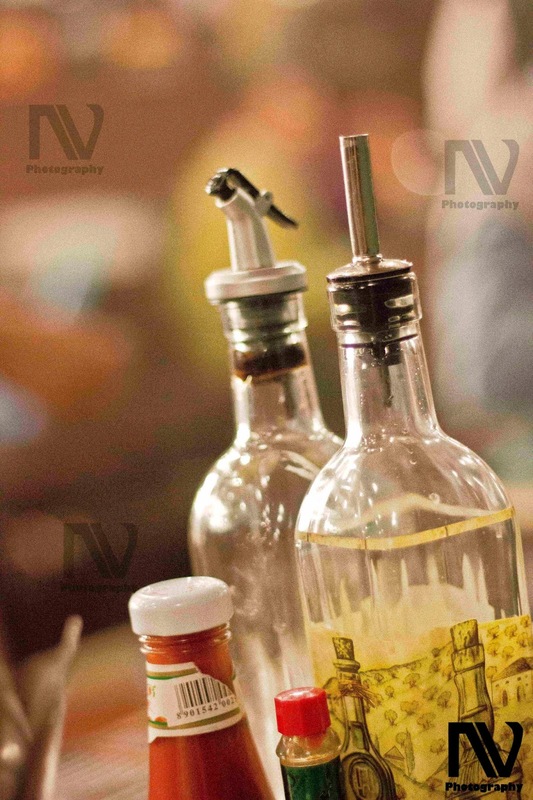 The interiors are lavishly decorated with rich paintings and furnished with glazed wooden tables and chairs. Though Theos boasts of a wide spread of continental dishes, their divine confectionary and bakery items are more or less the reason why people frequent the place. Not only will you be floored with the number of options presented but the exquisite quality and thick cream used will guarantee that you pay a second visit to this place. 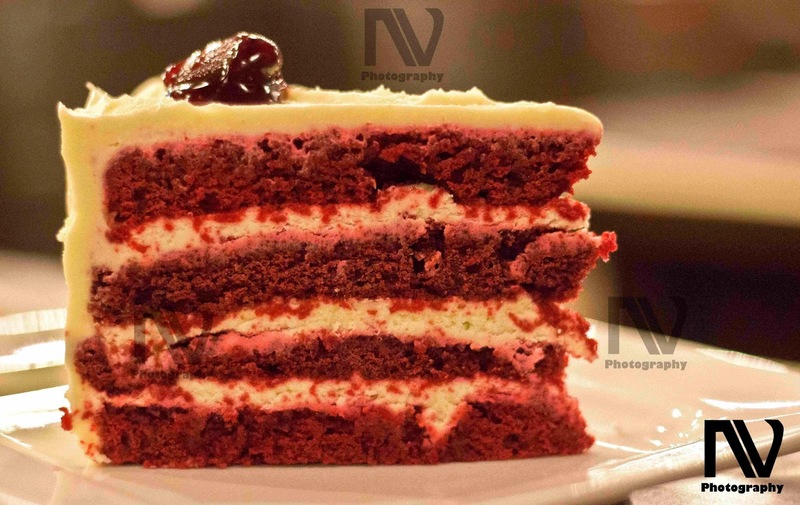 Made in multiple layers and topped with cream cheese, Theos' Red Velvet Cake is really fluffy and soft. The red coloring in their cake is a bit more pronounced than that of the other restaurants but the taste is twice as better. These are sold out extremely fast and even on a weekday, a regular office goer just might get the last remaining piece of this wonderful delicacy. 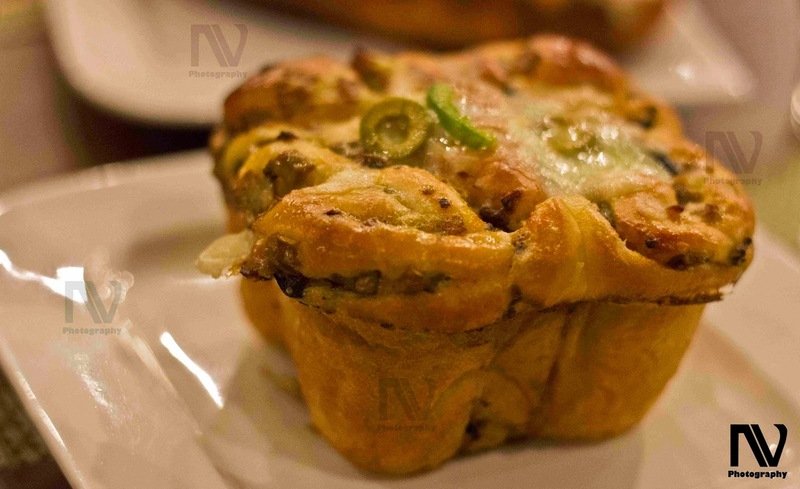 Their Mutton Sheekh Kebab Rolls and Monkey Mushroom Rolls are also different from the everyday fare. 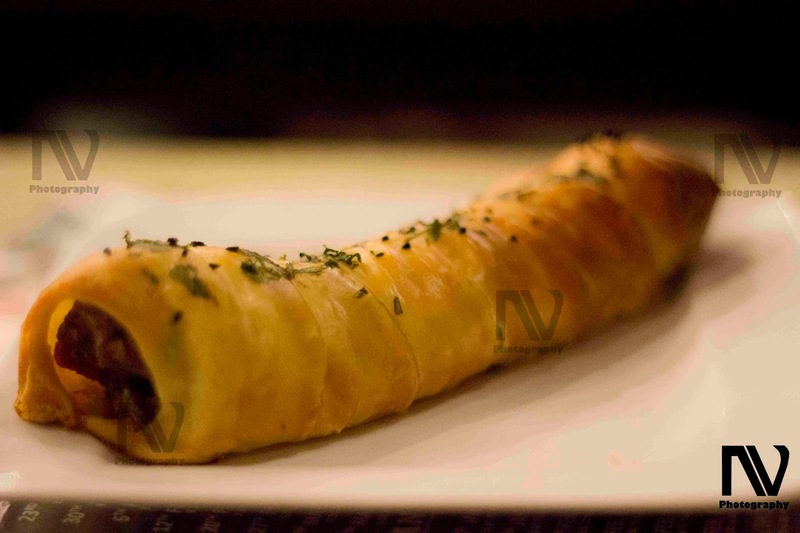 The Sheekh Kebab inside the roll is really huge and meaty, made from minced meat and is nicely marinated with salt, pepper and other spices giving the roll a delightful taste.We also tasted their Chicken Caesar Salad Sandwich. 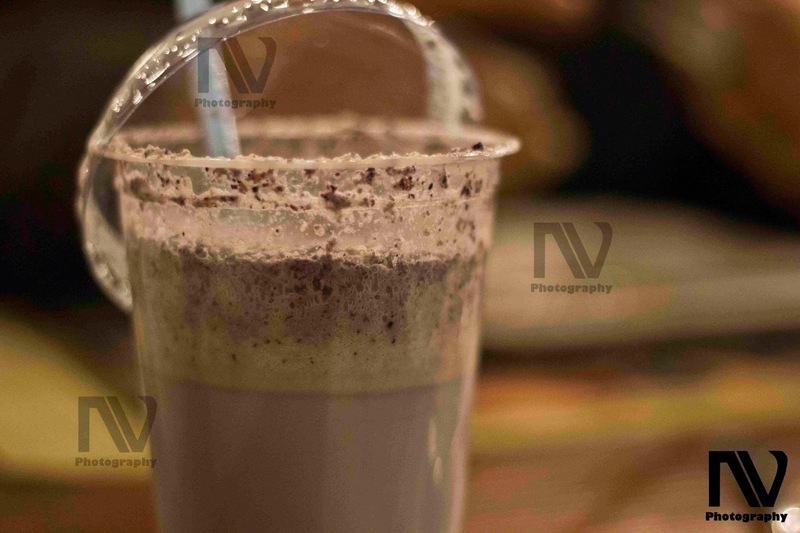 Theos also serves the best Blueberry Shake and Hot Chocolate. 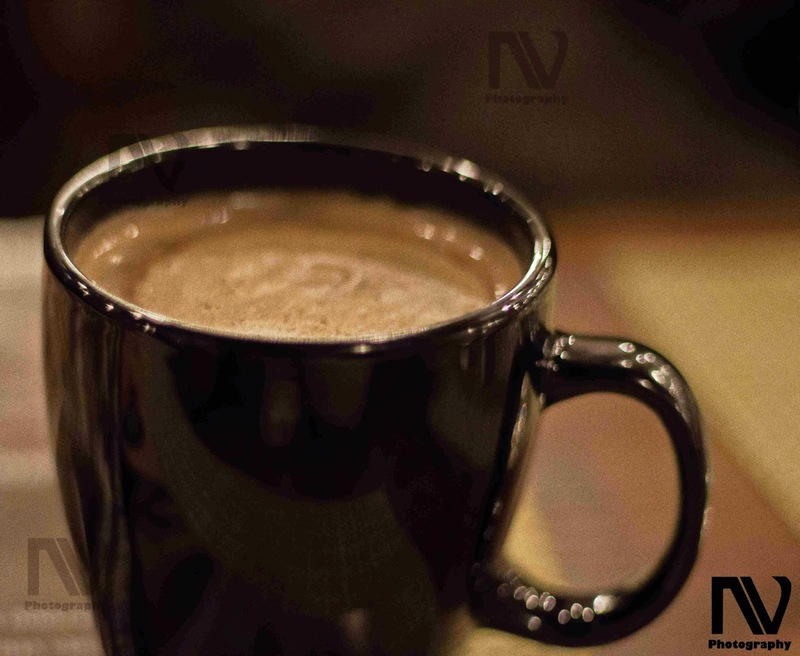 With the freezing winters of Delhi, the Hot Chocolate, topped with molten cocoa brings a certain degree of warmth in the body while the cold blueberry shake soothes and numbs the nerves. Alternating between sweet pastries and salted bakery items, we then moved onto their Banana Toffee Pie, Chocolate Mud Cake and Pineapple Pastry. 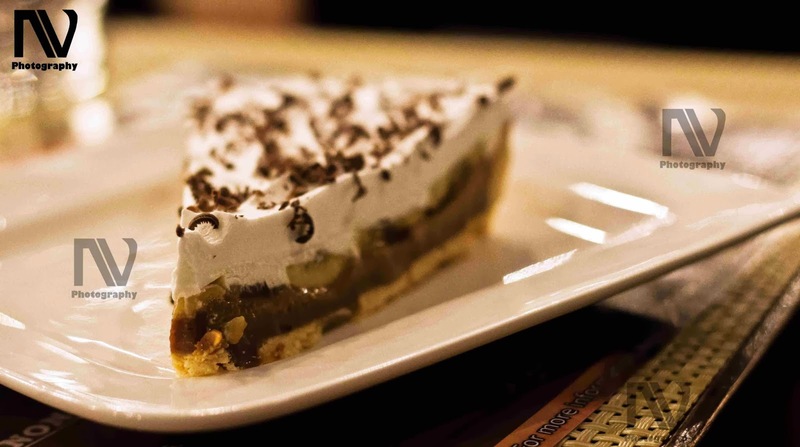 Known more often as the Banoffee Pie, the English dessert is made from bananas, cream and toffee from condensed milk. It is made into three layers, with cream on the top, banana in the middle and the Graham Cracker crust at the bottom. 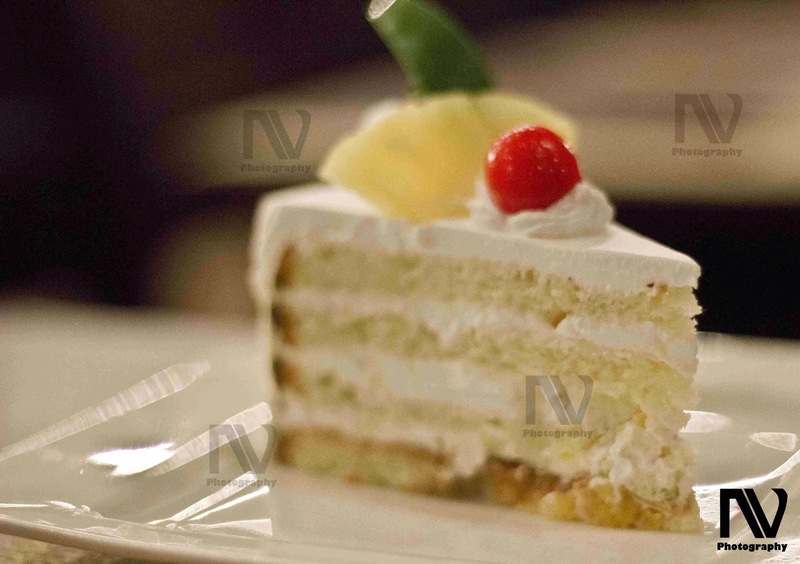 If you are in the mood for a small bite and have a sweet tooth, Theos cannot disappoint you. 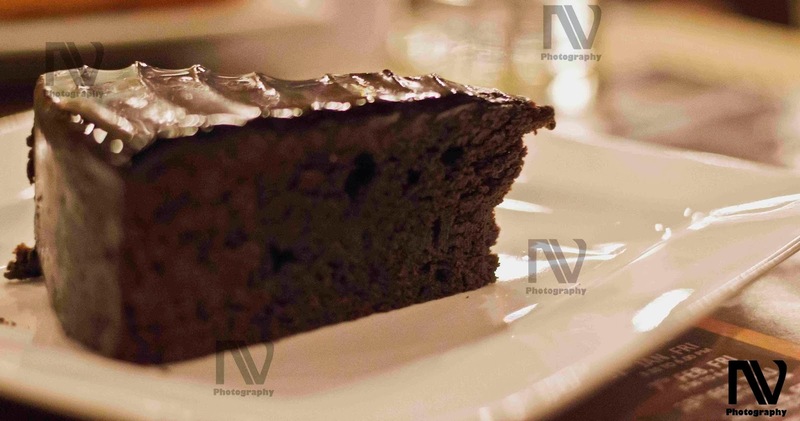 Their wide variety in pastries and cakes are astonishing and even quality wise they are fabulous. 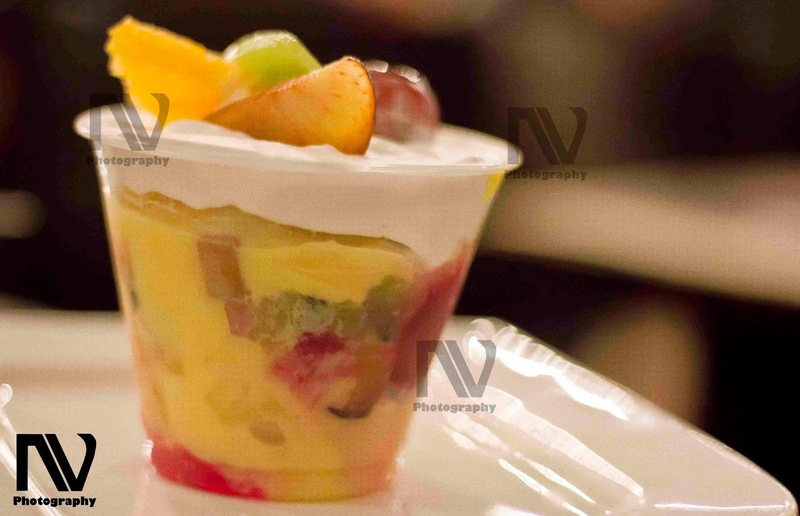 A treat to all the dessert and sweet lovers.